We have an emergency board up and make safe service, which is available 24/7 with all height work that cannot be glazed on first visit as hoists and cherry pickers maybe needed to secure damaged Glass. 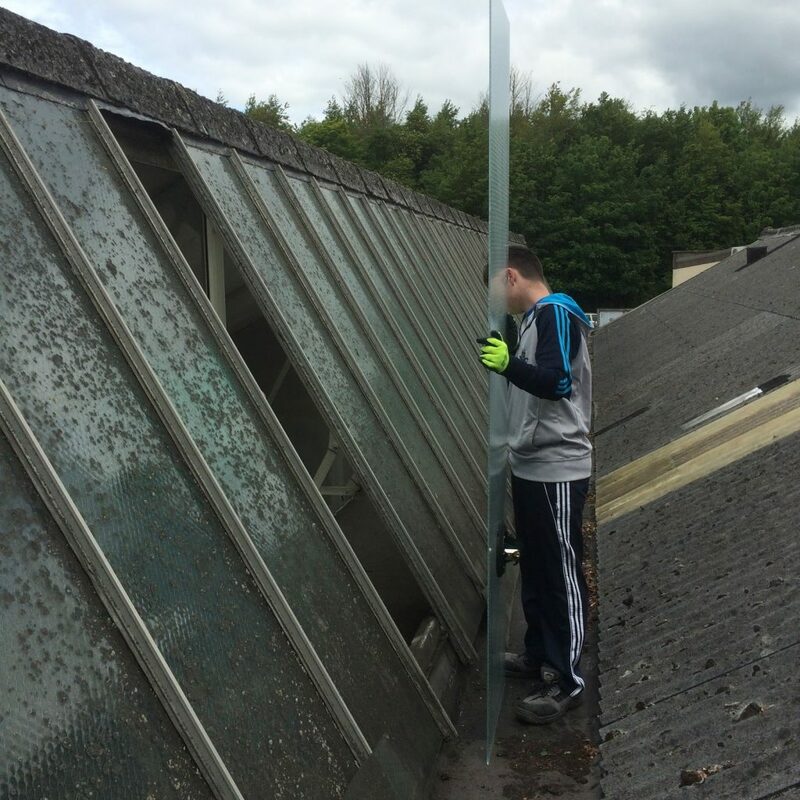 A lot of glass is up in the air so height work is a major part of a glazing company’s business. This means it’s essential to have experienced glaziers and the correct insurances. On some commercial jobs, method statements and risk assessments may also be necessary. Sometimes you can remove a frame from the inside by various methods. Alternatively you can lean out of an adjacent window, but sometimes there is no other option but to use access equipment. 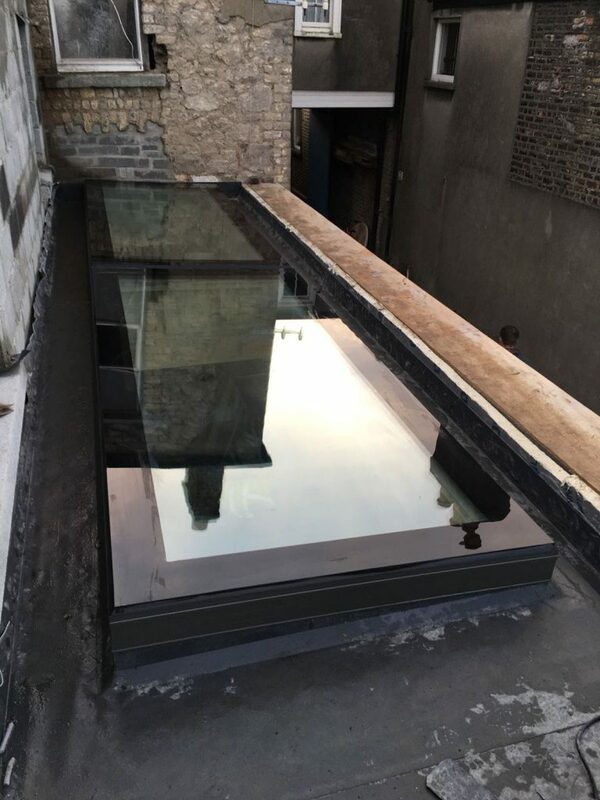 With roofs and skylights, it all depends on access and a lot of the time you have to rely on the professionalism of the glazier to work out the best option. Many jobs will require a site survey set out a plan of safe action safety is paramount. 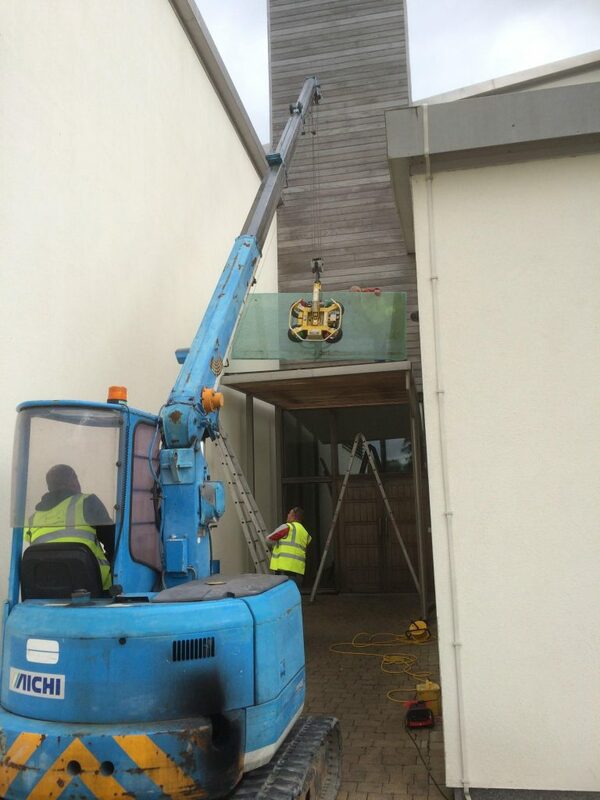 A good old fashion ladder is still used a lot of the time in house hold jobs but other access equipment is often needed, from tower scaffolds to step scaffolding systems, from cherry pickers to specialist cranes with lifting pads for large Glass panels. 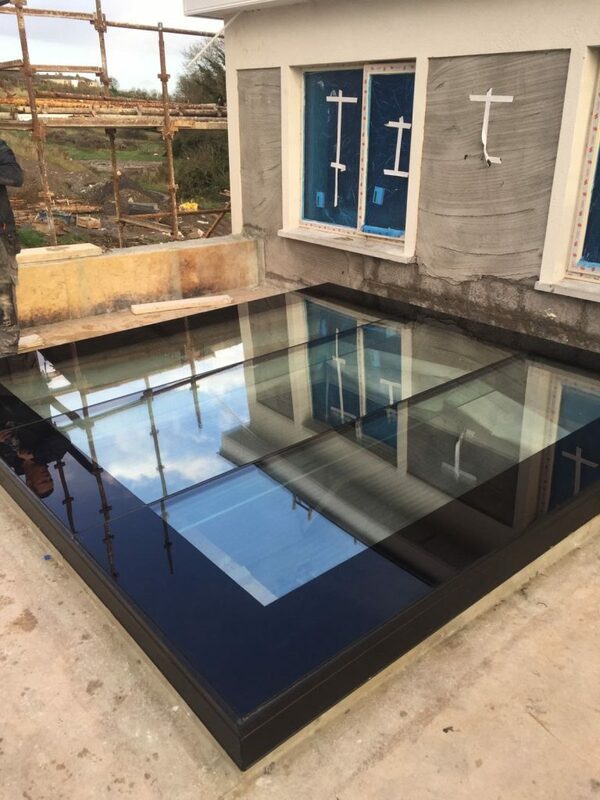 All glass in skylights and roofs of any kind must conform with BS6206 and safety glass must be used. 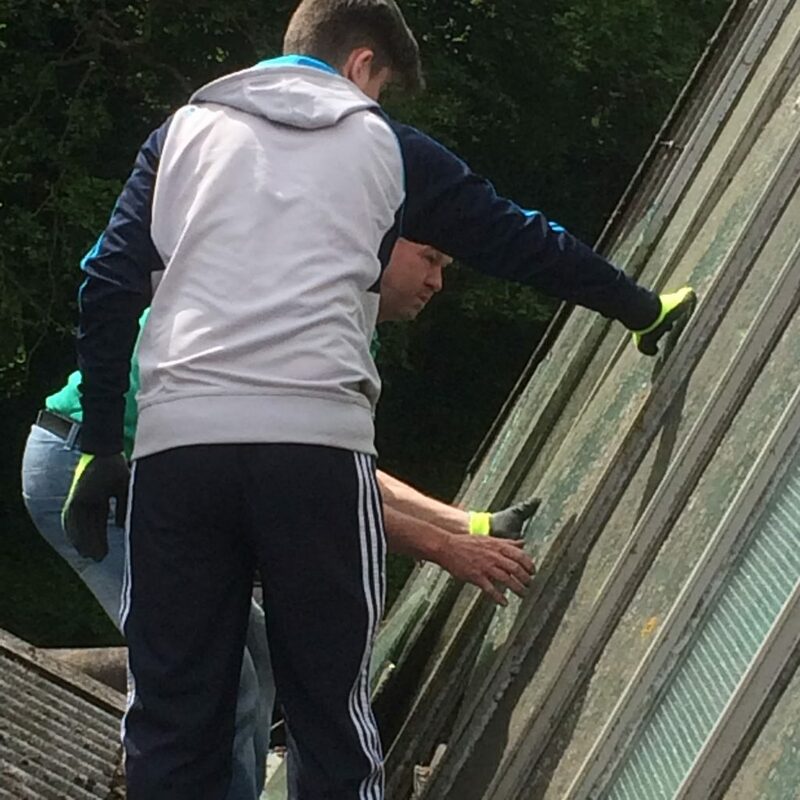 Wired glass is used in households and business quite often in roof jobs but also laminates are popular for they hold together in one piece when they break and appear as normal window glass. 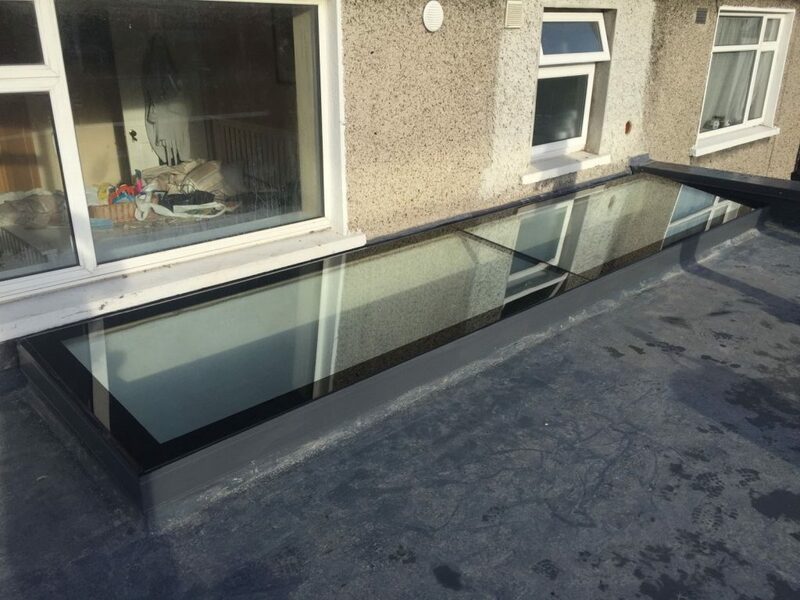 Double glazed units are frequently replaced in skylights and other places that require access equipment. 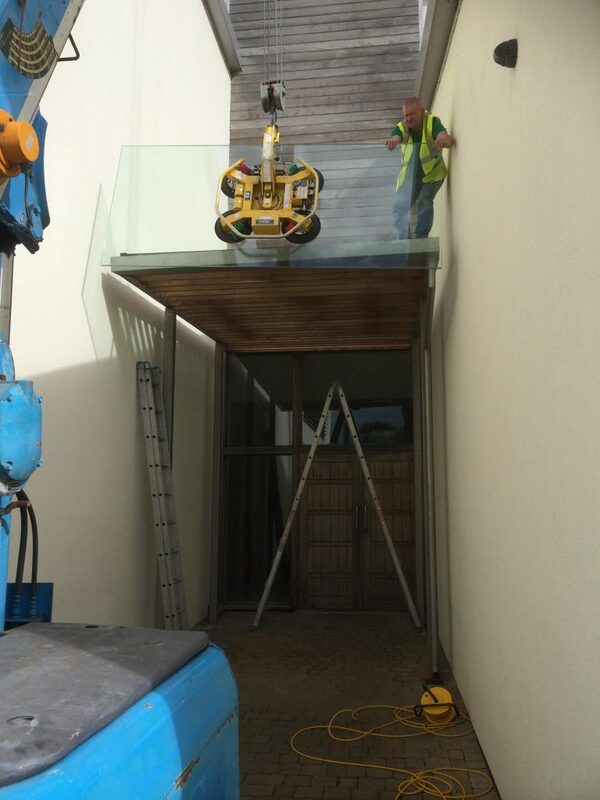 Whatever the glazing spec it will not be something that our glaziers haven’t come across before. For more information on replacing double glazing see our double glazing section for Specs on Glass Required.